they offer no explanation of why our thyroids are out of balance. There is good news. There are doctors who can help. I want to offer you this hope and empower you with this knowledge. Here are some good go-to resources that will help you find a better physician. And yes, many of them do take insurance. One more great trick I want to offer you. If you are still in no luck to find a doctor, go to your local compounding pharmacy and ask them for a list of doctors who are their customers. 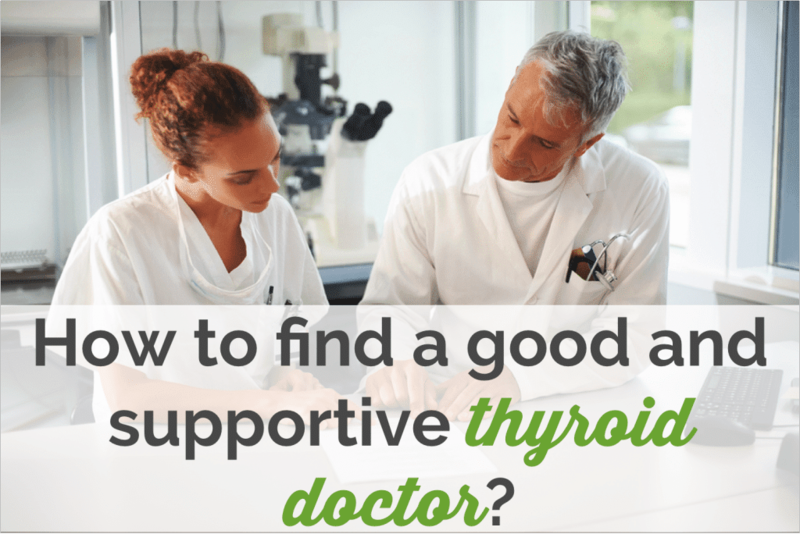 We find that often times, doctors who are willing to work with compounded (it means custom-made for you) thyroid replacement therapy are more open-minded and progressive. There is hope. If you do your homework, you also stand a much better chance to find the right support system. You can order thyroid tests yourself. Most people do not know that. No more begging or negotiating with your doctor. Where can I find the probiotics you recommended, that are pharmaceutical grade?